Malai kofta is deemed as one of the exotic delicacy of India. 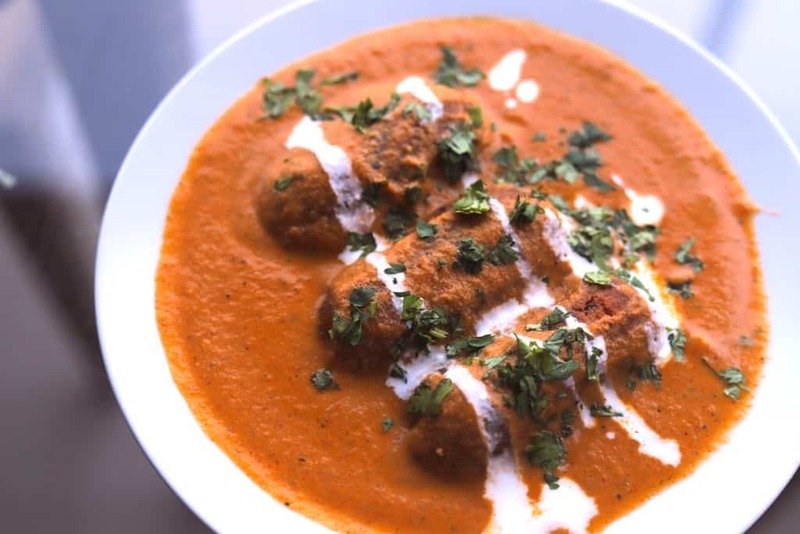 It is a main course dish consisting deep fried dumplings made with paneer, potato and mild spices called kofta and cooked in onion, tomato and fresh cream riched gravy. You can enjoy malai kofta with naan(indian bread) or any rice dish. Indian cuisine have special space for vegetarian dishes because they are available in vast varieties. Curries are integral part of indian cuisine, we had curries in our everyday meal. But the common misconception at the global level about indian cuisine is that indian food is all about curries. Without any doubt curries are star of indian cuisine but not all Indian food is spicy or made with curry. We have some occasional and restaurant dishes which are spicy, flavour full, rich and taste amazing. Malai kofta is one of them. It’s an exotic indian dish. Malai kofta is a mughalai cuisine and traditionally cooked in to mughalai style. Mughalai gravies are very rich in taste as they consist lots of nuts, butter, cream and dry fruits. Kofta is persian word which means meat ball, it consist minced or grounded meat, mild spices and deep fried in oil. As malai kofta is vegetarian dish we are using vegetarian version of the kofta. 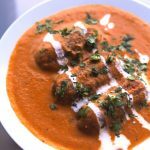 There are few variation of kofta dishes included in indian cuisine like, malai kofta, veg kofta, paneer kofta, mutton kofta, chicken kofta, lauki kofta etc, where non vegetarian version of kofta used minced or grounded meat and spices, vegetarian kofta made with vegetables like paneer, potato, raw banana, peas, bottle gourd (lauki /doodhi) etc. 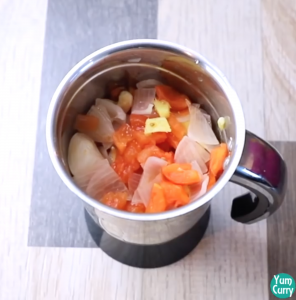 This delicious dish really need lots of effort to make but the result is amazing when you have bite of this exotic dish, you will taste all your effort in that one bite. Malai kofta are favourite parties and occasional dish. It’s a one of the top ordered dish in indian restaurants. 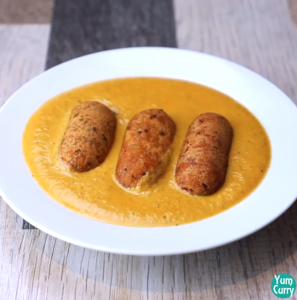 Malai kofta is simple, easy and effort taking dish, but the outcome is amazing. 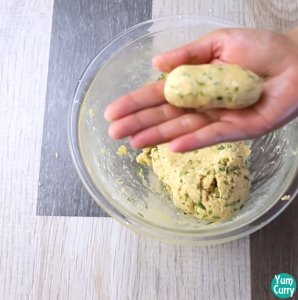 Malai kofta is prepared in two steps – first kofta is prepared and then gravy. kofta are small round or oval shaped dumplings, for the preparation of kofta we need simple ingredient like paneer, potato and some spices. 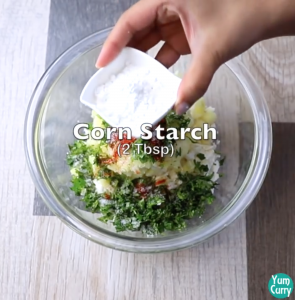 i have also added corn starch, that help to bind kofta mixture so it does not break while fry in oil, a perfect kofta should be soft and juicy from inside and crispy brown from outside, to get this texture we have to cook kofta at right temperature, and filling of kofta should be minced so it does not affect the texture of it. 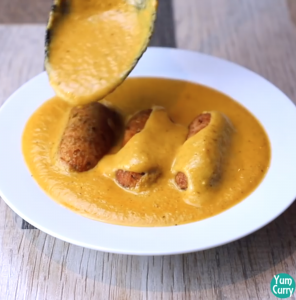 In malai kofta both gravy and kofta compliment each other. 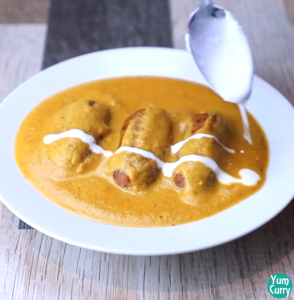 Along with kofta, gravy texture and taste is also important to get that perfect restaurant style malai kofta. 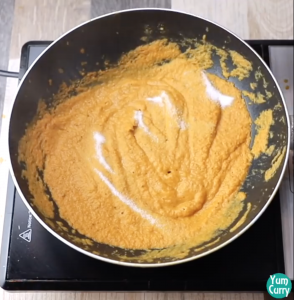 Gravy texture should be silky and smooth, i am using onion, tomato, ginger garlic paste and some spices along with fresh cream to give that richness to gravy. To get that perfect mild flavour and smooth silky texture. First boiled all ingredient onion, potato, ginger garlic along with cardamom and cashew. When they turn soft grind them along with fresh coconut and sift the mixture. 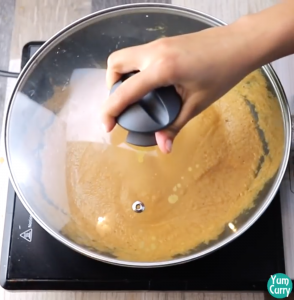 Sifting is very important to get silky smooth gravy texture. Cook this mixture in some oil and spices, add fresh cream and crushed kasrui methi. I prefer to add kofta to gravy while serving as they are very soft in texture and can easily break. Sprinkle fresh coriander leaves and pour some fresh cream. With Vibrant color of gravy, aroma of species and richness of cream, serve this simply amazing dish to your guest and let them feel special with this home made dish. 1. Many recipe add mawa to give extra richness to Kofta. 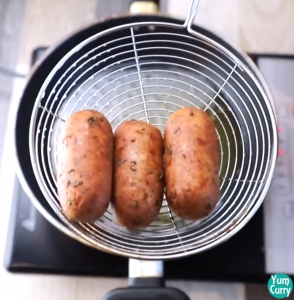 2. you can shallow fry kofta instead of deep frying it. 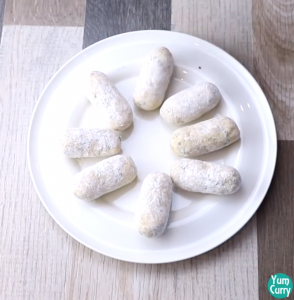 3. you can make kofta in advance and freeze them up to 15-20 days. 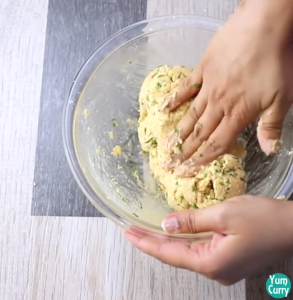 Please check recipe of garlic naan,and tawa pulav you can enjoy with malai kofta. 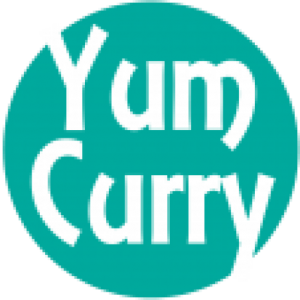 , i have prepared more main course dishes like paneer tikka masala, paneer butter masala, shahi paneer, palak paneer, matar paneer, methi matar malai and dum aloo. 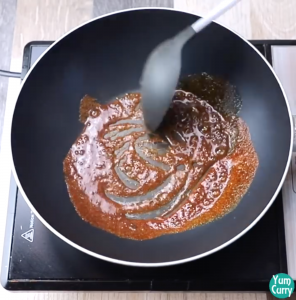 Place 2 cups of water in a sauce pan. 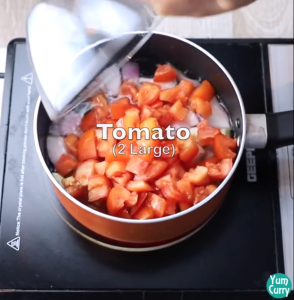 Add roughly chopped ginger, garlic cloves, cashew and green cardamom, onion (roughly chopped big chunks) and roughly chopped tomato. Cover pan with the lid, let it simmer for 15 minutes. Turn off the heat and Let it cool for some time. 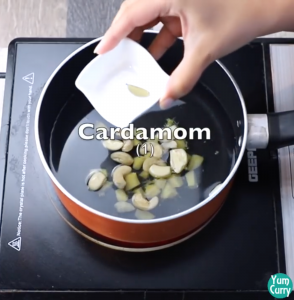 Transfer boiled ingredient to grinder. Add 1/4 cup of fresh roughly chopped coconut (remove brown layer). 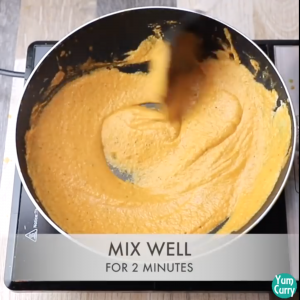 Blend all ingredient to a smooth puree. Strain puree through a fine mesh sieve, to get silky and smooth paste. Keep it aside. We will use this paste for making gravy for malai kofta. 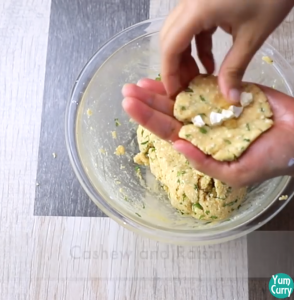 In a mixing bowl add 1 cup of fresh grated paneer and 2 medium boiled-mashed potato. 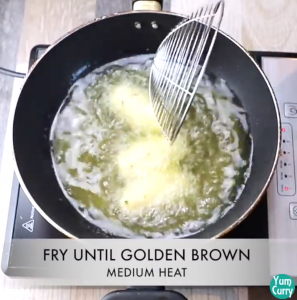 Add finly chopped green chilli, coriander leaves, chilli powder and garam masala, add salt to taste and corn starch. 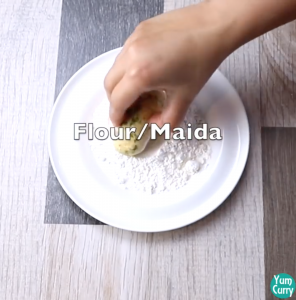 Mix ingredient using hand and knead a soft dough. 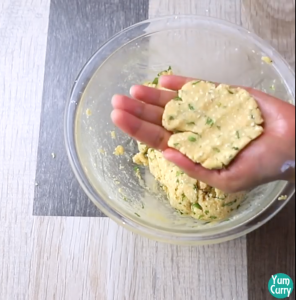 Grease your hands and take small portion from mixture. Roll between your palm, and gently press with fingers, place roughly chopped cashew and raisins in to the centre. 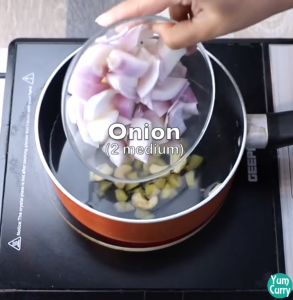 Fold the edges together and roll it again in a cylindrical shape. Dip kofta in to all purpose flour(Maida) to coat, shake off any excess flour. 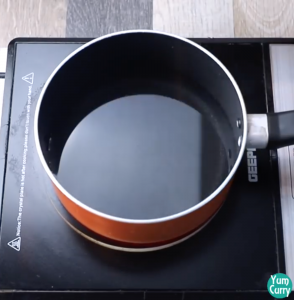 Heat oil in a pan, when oil is hot and ready add few kofta. Rotate regularly until kofta turn golden brown from all side. Take out kofta in to the kitchen towel to soak excess oil. 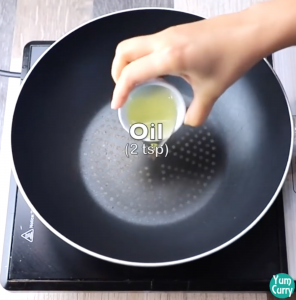 Heat a pan, add 2 tsp oil. Add chilli powder, coriander powder and garam masala. mix all spices well. 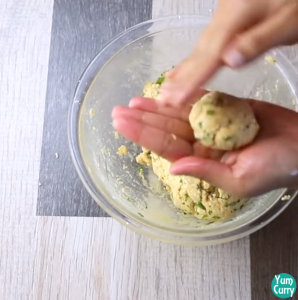 Add sift gravy mix, which we have prepared before making kofta. 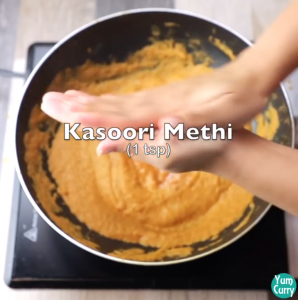 Add salt to taste, ketchup, sugar and crushed kasuri methi and mix all ingredient well. Add 2 Tbsp of fresh cream, stir for 2 minutes. Turn off the heat do not add kofta directly to gravy, they are very soft and can break easily. 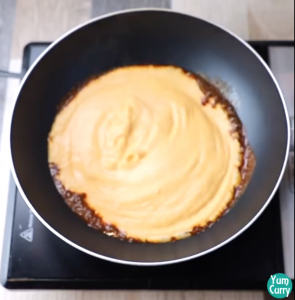 Pour the gravy in a serving bowl. Place kofta on top of the gravy. Pour some more gravy on kofta. 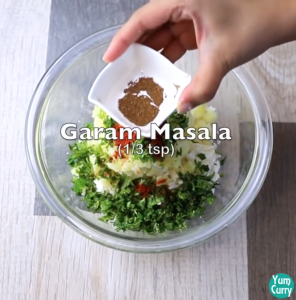 Garnish with fresh cream and coriander leaves. Serve hot. 1. Place 2 cups of water sauce pan. 2. 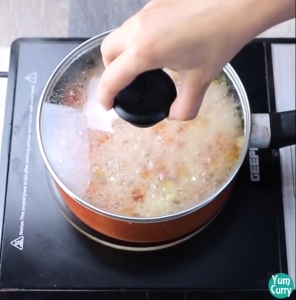 Add 1 inch roughly chopped ginger, 6 garlic cloves, 5 cashew and 1 green cardamom, onion (roughly chopped big chunks) and roughly chopped tomato. 3. Cover pan with the lid, let it simmer for 15 minutes. 4. Turn off the heat and Let it cool for some time. Transfer boiled ingredient in to grinder. 5. 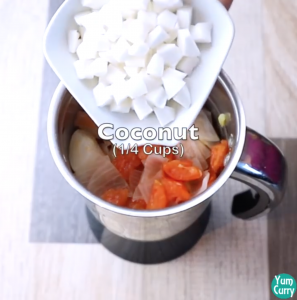 Add 1/4th cup of fresh roughly chopped coconut(remove brown layer). 6. 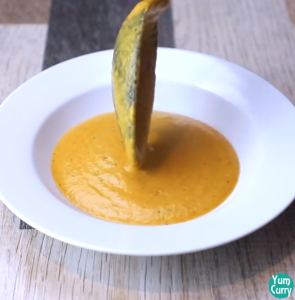 Blend all ingredient to a smooth puree. 7. 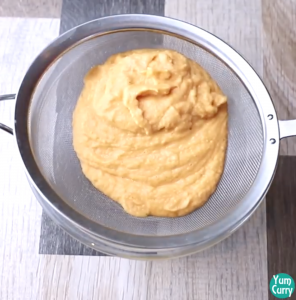 Strain puree through a fine mesh sieve, to get silky and smooth paste. 8. Keep it aside. 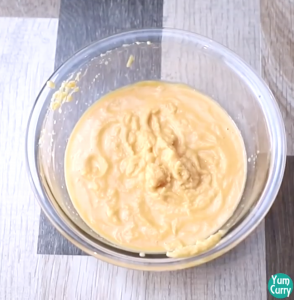 We will use this paste for making gravy for malai kofta. 1. 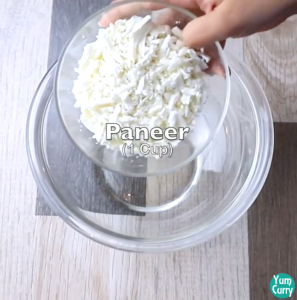 In a mixing bowl add 1 cup of fresh grated paneer and 2 medium boiled-mashed potato. 2. Add finally chopped green chilli, coriander leaves, chilli powder and garam masala, add salt to taste and 2 tbsp corn starch. 3. 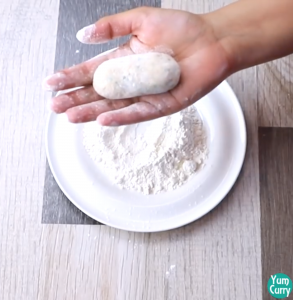 Mix ingredient using hand and knead a soft dough. 4. 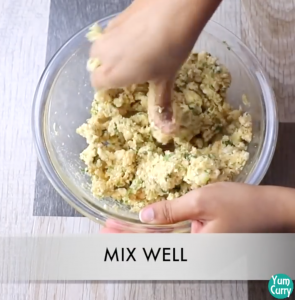 Grease your hands and take small portion from mixture. 5. Roll between your palm, and gently press with fingers, place roughly chopped cashew and raisins in to the centre. 6. 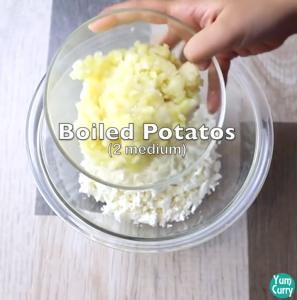 Fold the edges together and roll it again in a cylindrical shape. 7. Repeat same process with rest of the dough. 8. Dip kofta in to all purpose flour(Maida) to coat, shake off any excess flour. 9. 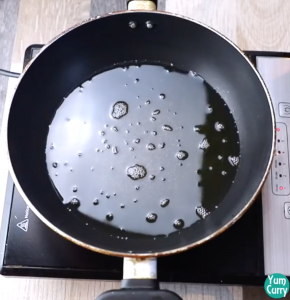 Heat oil in a pan or kadhai, when oil is hot and ready add few kofta for frying. 10. Rotate regularly until kofta turn golden brown from all side. 11. Take out kofta into the kitchen towel to soak excess oil. 1. 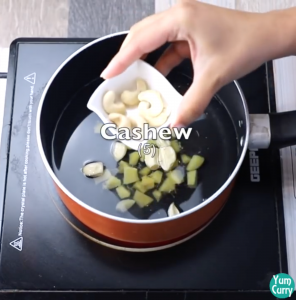 Heat a pan, add 2 tsp oil. 2. Add chilli powder, coriander powder and garam masala, mix all spices. 2. Add sift gravy paste, which we have prepared before making kofta. 3. Cover and cook for 10 minutes. 4. 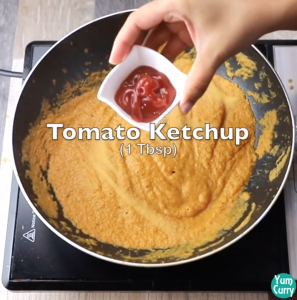 Add salt to taste, ketchup, sugar and crushed kasuri methi. Mix all ingredient well. 5. Add 2 Tbsp of fresh cream, stir for 2 minutes. Turn off the heat do not add kofta directly to gravy, they are very soft and can break easily. 6. Pour the gravy in a serving bowl. 7. Place kofta on top of the gravy. Pour some more gravy on kofta. 8. 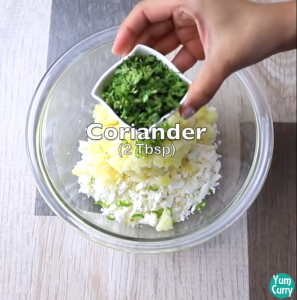 Garnish with fresh cream and coriander leaves. Serve hot. Serve hot with any indian breads like garlic naan, paratha, missi roti or with any rice preparation like steamed rice, tawa pulav.